This month, we’re spotlighting the Brentwood Neighborhood of Austin, Texas. This North Central Austin enclave is bordered by Burnet Road on the west, Lamar Boulevard on the east, 45th Street on the south and Justin Lane on the north. Austin annexed the majority of Brentwood in 1946 and established Brentwood Park in 1951, which is located next to Brentwood Elementary. It is a popular area with singles and families who want to be close to Central Austin, but still able to commute to points North of the city. The neighborhood began life as a cotton farm until the city bought the land and built Brentwood Elementary in the early 1950's. The neighborhood was originally popular with GI's who settled down there to start their families after World War II. Brentwood retains many of the burger joints and bars that were around for those GI’s to relax in, many of which have been in place since the 1930’s. There are also a lot of new developments sprouting up in Brentwood, such as a new Little Woodrow’s location and Burnet Flats, a 179-apartment mixed use community. So there’s something for everyone in this Austin gem! Looking for an apartment in Brentwood? Let Apartment Specialists help with our expert knowledge of vacancies, amenities and move-in specials at all the best Brentwood addresses! Call us at 512-241-1111 today! 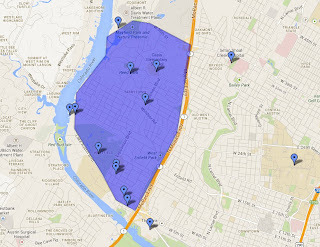 This month, we’re spotlighting the Tarrytown Neighborhood of Austin, Texas. This week, we’ll be taking a look at some of the apartments in this historic Central Austin enclave. Spring Oaks is a Tarrytown gem. This newly remodeled complex is small, quaint and nestled within a residential neighborhood. One bedroom, one bath units are very affordably priced, have gas cooking and some even have hardwords. Antilles has one and two bedroom units with hardwood floors. Kitchens feature gas appliances and ceramic tile backsplashes. The complex is on the Enfield Road UT shuttle, so it’s super-convenient for students or employees of the University. Gables Townlake is also on the UT Shuttle. Units include washers and dryers and garages are available. The complex is gated and welcomes large pets. Looking for an apartment in Tarrytown? Apartment Specialists can help with our expert knowledge of the vacancies, amenities and move-in specials at all the best Tarrytown addresses. Give us a call today at 512-241-1111! This month, we’re spotlighting the Tarrytown Neighborhood of Austin, Texas. 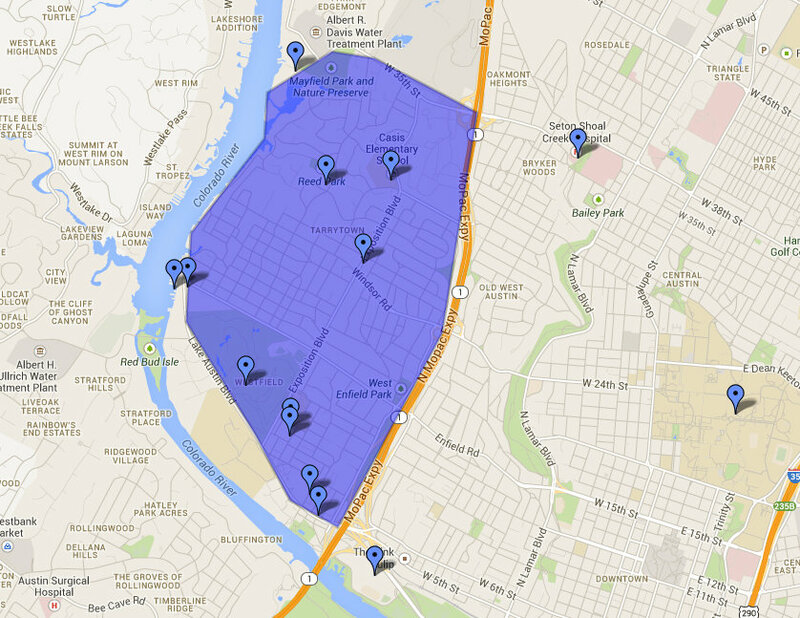 This week, we’ll be taking a look at the schools and employers in this Central Austin enclave. 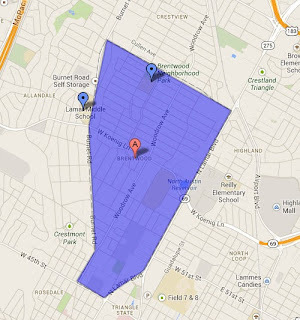 Tarrytown is served by the Austin Independent School District. Students in Kindergarten through Fifth Grade attend Casis Elementary, an Exemplary rated school whose mascot is the Cougars. Students in grades six through eight attend O’Henry Middle School, whose mascot is the Mustangs. Students who reside in Tarrytown who are in ninth through twelve grades attend Austin High School. Austin High is ranked Recognized and its mascot is Mr. Maroon. 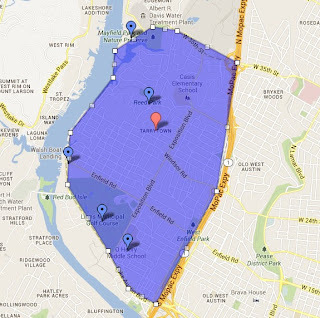 Tarrytown’s location in Central Austin makes it super-convenient for commutes to downtown, or North or South Austin. Employers nearby include Seton Shoal Creek Hospital, which has been helping Austinites get well for over 30 years. They employ everyone from surgeons to janitors to administrative staff at their location on 35th Street near Lamar Boulevard. Tarrytown is also just ten minutes from the University of Texas at Austin, which employs over 24,000 people. They need a huge workforce, since they have to educate more than 50,000 students at their 40 Acre campus. 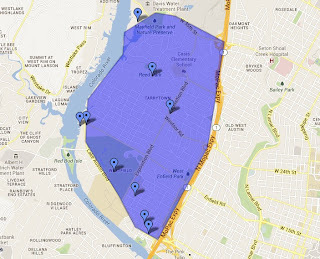 Looking for an apartment in Tarrytown? Apartment Specialists can help with our extensive knowledge of the vacancies, move-in specials and amenities at all the best Tarrytown addresses. Give us a call today at 512-241-1111! This month, we’re spotlighting the Tarrytown Neighborhood of Austin, Texas. This week, we’ll be exploring some of the dining, entertainment, and shopping options in this Central Austin area. Looking for a fabulous evening out in a beautiful atmosphere? Fabi + Rossi certainly fits the bill! Fabi + Rossi serves up Modern European, French and German cuisine. The goal is taking classic European dishes and putting a youthful, modern twist on them. Fabi + Rosi also strives to use local organic ingredients whenever possible. An oldie but goodie, Magnolia Cafe has been keeping hungry Austinites full “24 hours a day, 8 days a week” since this was a sleepy college town. Try their Magnolia Mud, a delicious, addictive cocktail of black beans, queso, guacamole and Pico de Gallo. Heaven in a bowl! Looking for a romantic place to enjoy the sunset and some dessert? Look no further than Mozart’s Coffee Roasters. Mozart’s serves up amazing in-house roasted coffee and homemade desserts, but their best feature might be the huge deck that overlooks Lake Austin. A great way to finish up a date. The Austin Museum of Art at Laguna Gloria is located in Tarrytown. In addition to the art exhibits, there is a beautiful historic house and the grounds are gorgeously manicured. Want to throw a party and have your invitations be the talk of the town? Or perhaps you want to get the perfect personalized gift? Party Cat will make your event or gift the cat’s meow. They can even help you with the wording and design of your invitations or gift! Looking for an apartment in Tarrytown? Apartment Specialists can help! Give us a call today at 512-241-1111 to take advantage of our expert knowledge of the vacancies, amenities and move-in specials at all the best Tarrytown addresses.